Naples has been named the best place to retire in the in the nation.The city is one of only 10 that livability.com has named as “best places to retire in 2018.” Data scientists with Livability.com examined nearly 2,300 cities across the country and factored in more than 20 data points ,including safety, affordability, property tax, natural disaster risk and nursing home accessibility and quality. 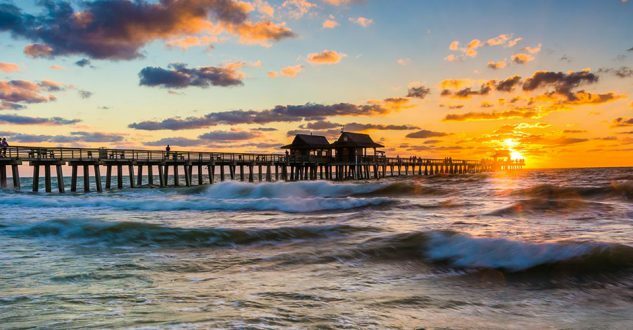 “Naples has the beautiful beaches that many retirees dream about, but it’s so much more than a beach town” said Winona Dimeo-Ediger, managing editor at livability.com. “it’s a place that makes it easy to get involved and fell a strong sense of community, whether you’re a newcomer or you’ve lived there for years” she said. Little Rock, Arkansas, was second in line with Scottsdale, Arizona, following in third place. The study analyzed cities with a population between 20,000 and 300,000 and used sources like the U.S Census Bureau and Medicare to weed out places with high health care costs. Last year Walnut Creek, California received the No.1 spot on the list. Naples has been recognized for the past three years as having the highest overall well-being in the U.S and has ranked in the top 20 for best-performing cities in the nation. A real estate research firm also named a Naples neighborhood as the “best neighborhood” in the united state earlier this year.